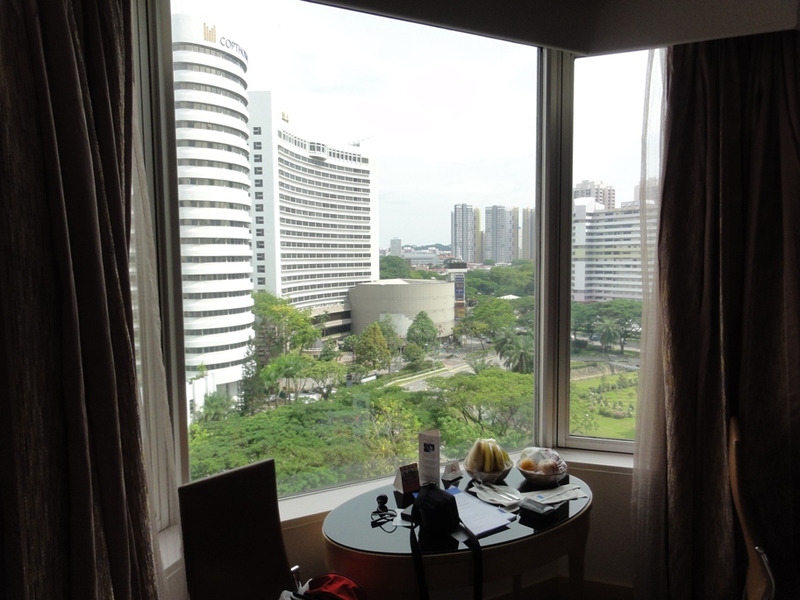 Home » First day in Singapore!! I’ve had an interesting first day here in Singapore. After arriving here last night to 30C at 11pm, with 90%+ humidity, we got ourselves checked in to the hotel and some much needed rest. This morning I woke up in quite a cold hotel room thanks to excellent aircon and the hotel phone rang. It was William, who is the guy in charge of the logistics of my car while here in Singapore and also a bit of a comedian! (he’s the guy in the black shirt facing right) I’m sure I’ll have more on him later! 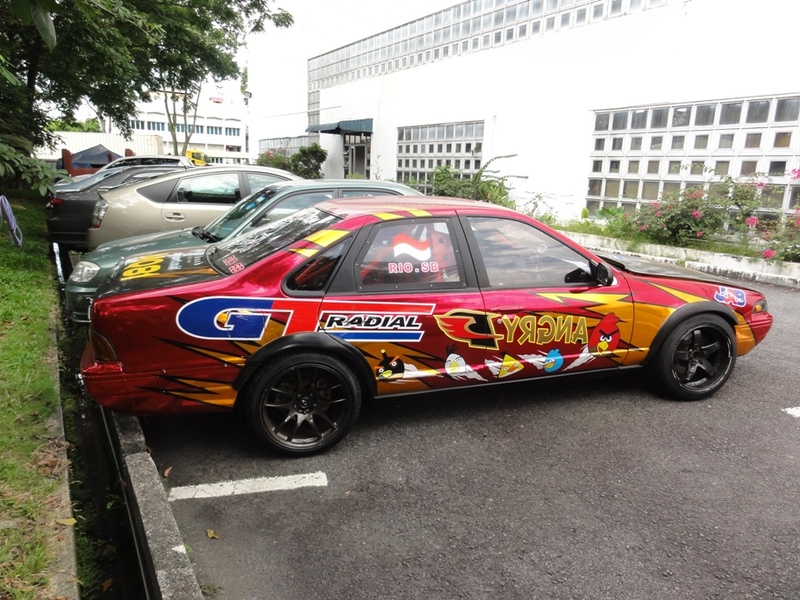 Without any warning, he told me he would pick Gavin and I up in 20mins and we’d head out to the airport, pick up some fellow GT Radial Team members and head out to the wharehouse where some of the drift cars had already arived. We had no knowleadge of this, so we quickly got ready and ran down to try and get the most out of our buffet breakfast we could in the 15mins before he arrived! 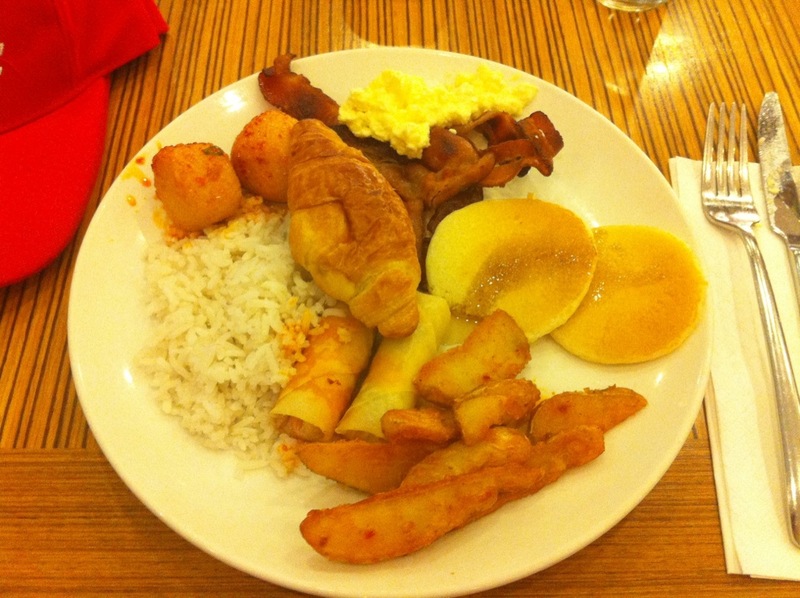 Breakfast was amazing! Everything you want for breakfast, plus stuff you shouldn’t! So while we were getting as much of that that down as possible, William arrived and off we went. We picked up the GT Radial guys and dropped into William’s warehouse where 5 of the 14 cars he was bringing in were waiting. Mine, along with 8 others should arrive tomorrow. It’s cutting it a little fine, but William assures me it will all be ok because of Singapore’s extremely efficient wharf system. 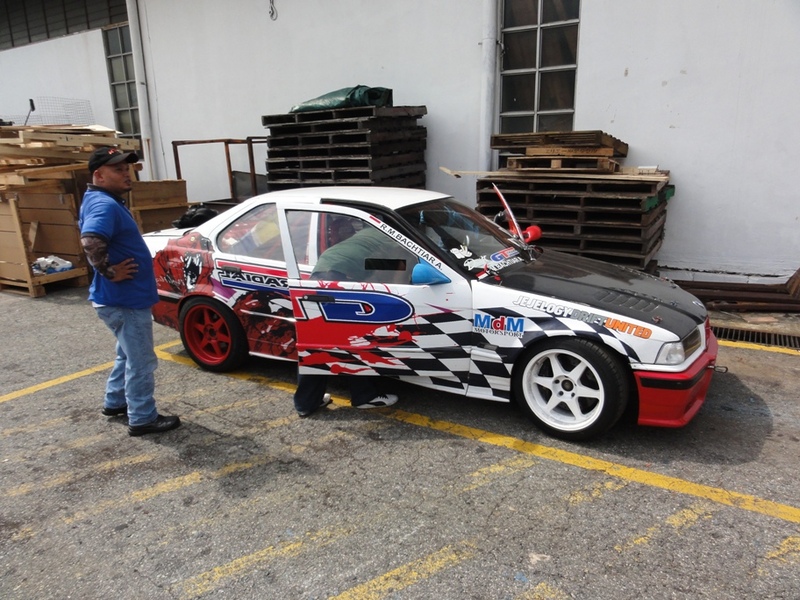 A GT Radial team mates E36 BMW with an NA 3.2L straight six! Should sound great! 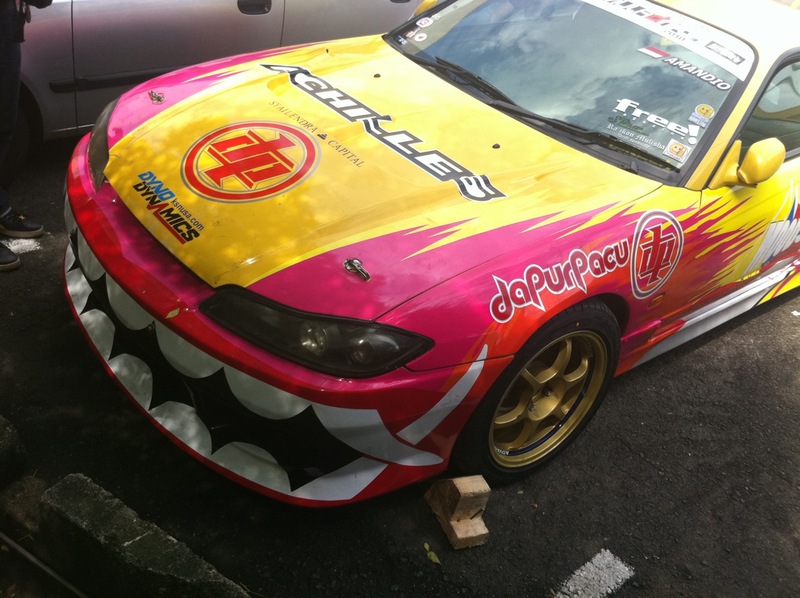 Another team mates car, a 600hp 2JZ powered Cefiro! An S15 of course! 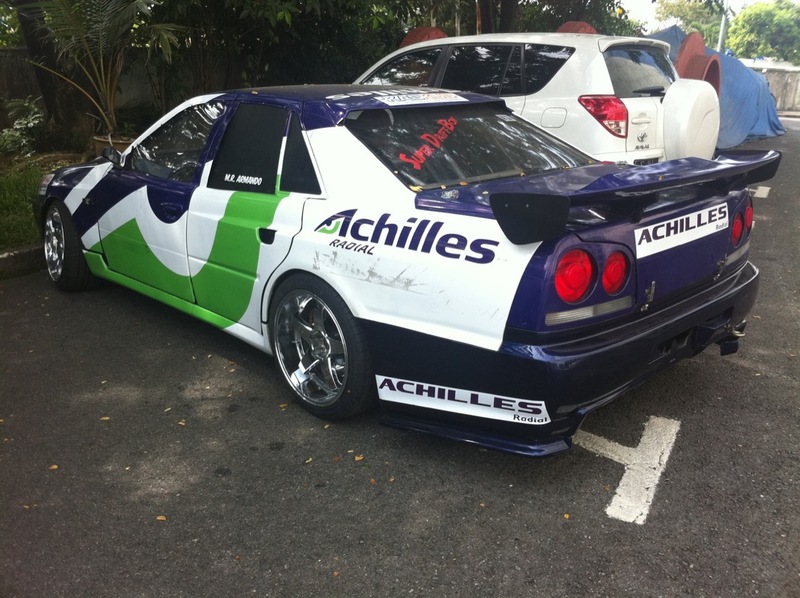 This is an Achillies sponsored car, Achillies is sponsoring 9 cars at this event, plus the event itself! A crazy front bar for this one! 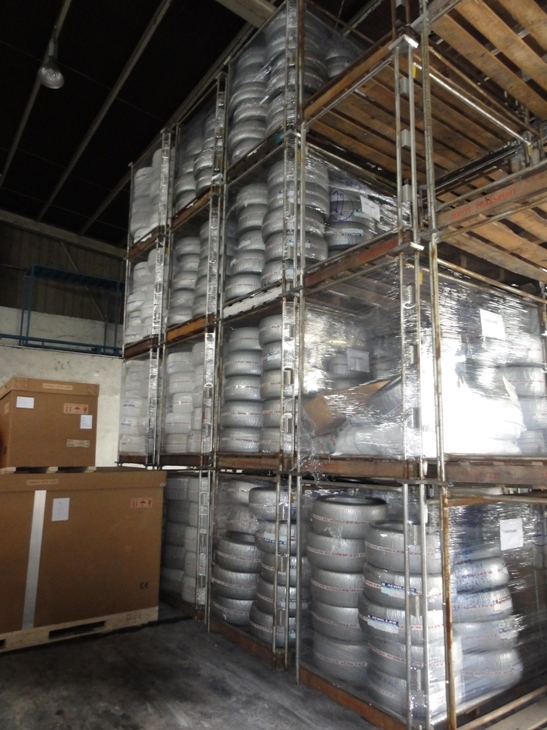 Here is the Achillies tyre stash. I’m not sure I can work out the maths on this one, the Achillies representitive told me they had 400 tyres for this one event between 9 cars??? We then had a nice 20 minute drive back to the hotel in a nice sauna/van with no AC or windows! When we got back, I jumped in the hotel pool to cool off! Perfect! And this is a photo of right now out my window. I think I might head back to the pool now! Check back soon, there will be more!